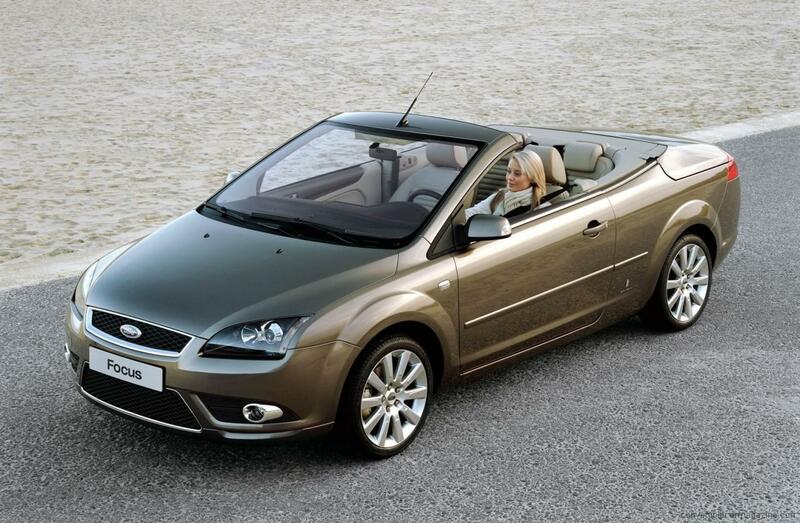 The Ford Focus CC was designed and is assembled for Ford by Italian coachbuilders Pininfarina. This shows in the nice touches which help this car to stand out from the rest of the Focus range. As with most hardtop convertibles derived from a saloon it has a rather swollen and elongated rear but the designers have done a good job of distracting the eye with some impressive styling. None of the engine options are particularly sporting, but it’s still a good car to drive, particularly when the roof is up which adds rigidity. The Ford Focus CC is a lot of car for the money. So far only available in Europe despite the pleas of the US market. The UK list price jumped up in 2009, perhaps to allow dealers to offer impressive looking discounts. With a smooth running 1.6 litre engine, the entry-level Ford Focus CC 1.6 is an excellent car if not particularly quick. 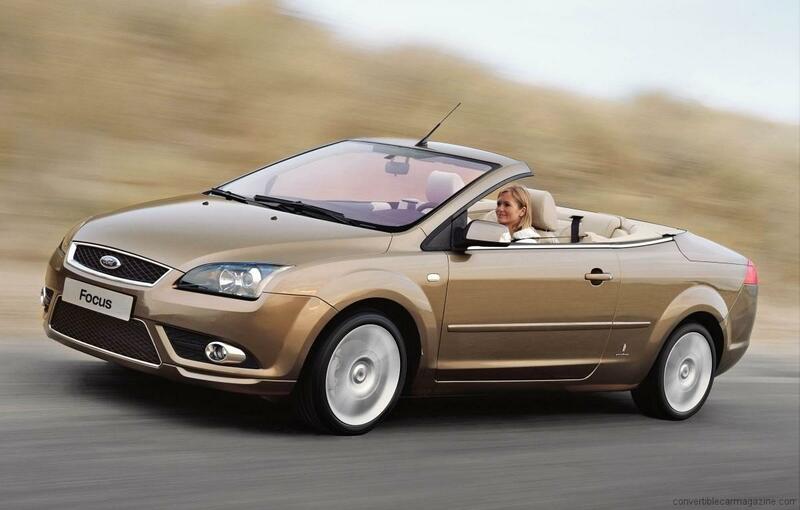 Ford Focus CC 2.0 or Ford Focus CC-3 as it was known, was the top of the range car with an eager petrol engine and all the reliability of the Focus hatchback. It was good to drive thanks to a stiff chassis and responsive steering that made it predictable and accurate when pushing on. Fuel economy and emissions were at acceptable levels and with the smart Pininfarina styling it should have been a big seller. Its main weaknesses were the lack of a premium badge and stories of leaky roof seals. 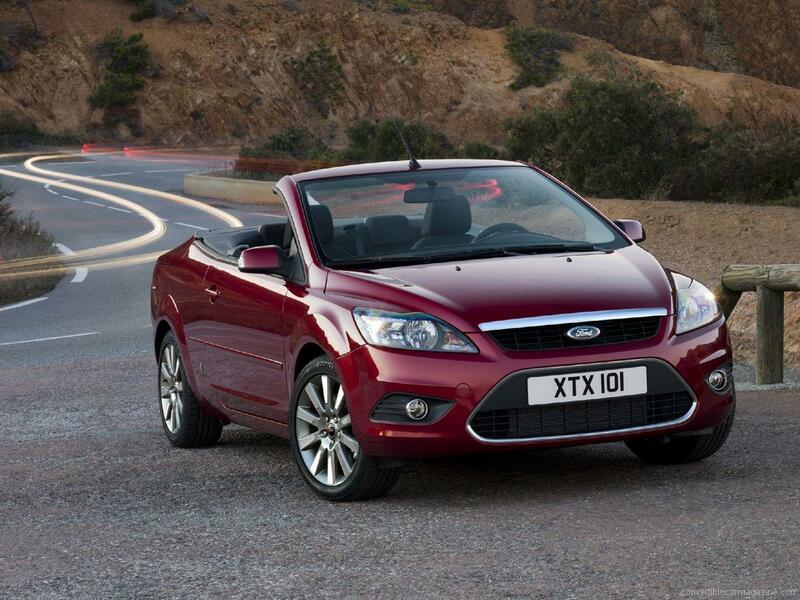 Diesel power doesn't always sit well with the convertible car but the Ford Focus CC 2.0 TDCi pulls it off very well. The engine is surprisingly quiet and refined and the with the hardtop roof up it goes almost unnoticed. The addition of 6th gear on the manual transmission also helps to make this an economical long distance runner. 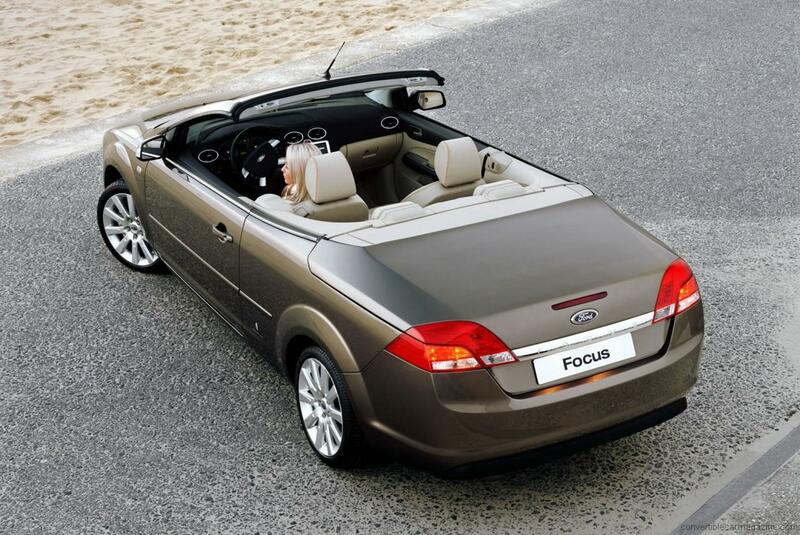 Do you drive a Ford Focus CC? Would you recommend it to others? Join the conversation and let us know what you think of the car. This Ford currently has 16 owner reviews. I bought my Focus CC new in April 2009. Had niggling issues, the rear badge was scratched when I picked it up and then the dealership – Evans Hallshaw, scratched the boot when fitting the new one etc. However all was great until it rained! Then the trouble started. The leaks were very serious and caused a lot of water staining etc. After several stays in the workshop the leaking was sorted out however, shortly afterwards the roof mechhanism failed scratching the surrounding trim as it did so, had to have the roof forced up at the dealership and then for the best part of the summer weather of 2009 it was in the shop! Needed new roof lining etc. I was very let down. On the plus side, the engine is great – 2 litre turbo diesel is very efficient and plenty powerful.I couldn’t recommend this car as due to the roof issues, it kind of took the shine off the whole experience! I am now ready to change and I’m looking for a different convertible! I love my 2009 Focus CC3, it drives superb, as long as it is driven well it gives me good fuel econemy for a 2.0L petrol engine, 45ish to the gallon even more on long motorway travels, I can certainly recommend the Ford Focus CC3 to anyone thinking of purchasing one, and as one would expect, it is even bettr to drive with the roof down, & the boot is very large indeed, and even still usable with the roof down. All in all the Focus CC3 for me is the best of both worlds, top down motoring in the sun shine & nice & warm in the winter, I can thorougly recommend it to every one, go on treat yourself. A bit worrying that the spec mentions a fabric roof when we all know it is metal!!!! What else did they get wroung? I am just coming to the end of my first year of CC ownership, a year that can only be described as faultless . It is sad that the early models had issues as the final result is a superb luxury convertible, that remains practical through all seasons. Well equipped, economical and stylish, residual value has encouraged me to keep it rather than change which is just as well as finding a replacement would be difficult. The boot remains practical for a convertible, up or down, mine is a 2011 car , that I will hold onto now for some years. My 2008 cc is one car which I drive with a smile on my dial , especially when the roof is down , I absolutely love it , it had 35000 on the clock when I bought it , and the weather this year gave me plenty of chances to have the roof down , the grand kids love it too they keep asking me to make it fly thunderbirds are go my other car was a ford mondo v6 saloon and that ticked all my boxes too love them ! I recently bought my 2007 cc and have no problems with it what so ever. With Fords reliability I would hope that I have years of trouble free motoring. I live in Australia and when temps are high 35 above its almost impossible to have to roof down due to the heat. Having said that the car looks great with the top down and at every opportunity I press that button and all is well with the world. 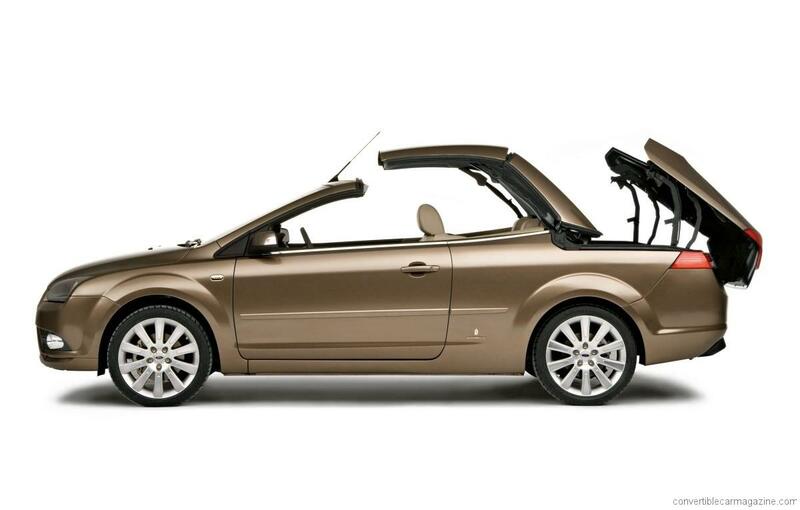 A brilliant convertible for somebody who wants style and practicality. Drives incredibly well and also get very reasonable mpg for the 2.0l engine. When the UK grants us with a Summer theres no better feeling than driving round with the top down. 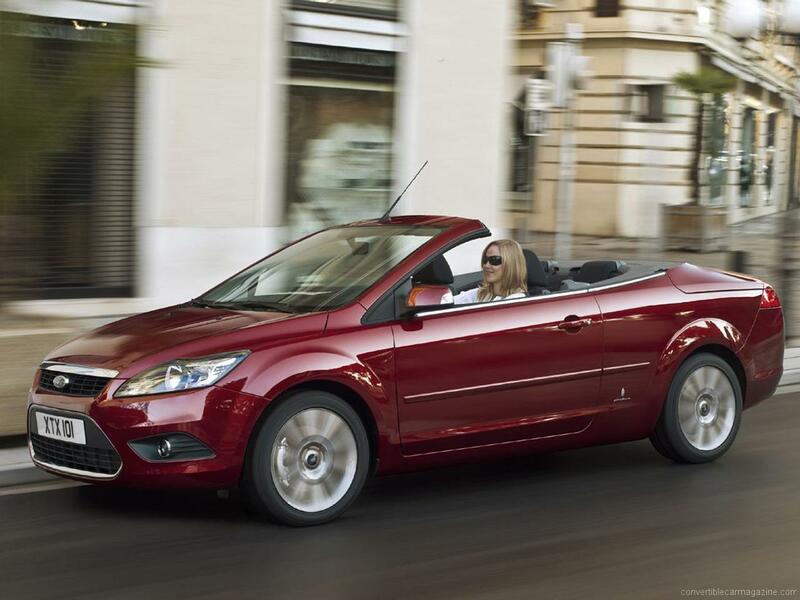 However the car provides maximum protection and warmth in winter and you almost forget you own a convertible…Almost. Its also an added bonus (being a woman) that I can go shopping with the top down and still have enough boot space to pop my bags in. I would like to mention that my 2009 model is a 6speed Manual… ? I own and drive three Mercedes Cabriolets and a Ford CC3 Cabriolet. This 2008 CC3 is totally reliable, has none of the roof sealing problems associated with earlier variants, is well-built.suberbly equipped, quality leather upholstery together with the very involving and direct drive experience for which the Focus is well-known. This CC3 is thoroughly recommended and, in my opinion, is a totally underrated hardtop cabriolet option. Had my 2.0 CC3 from new since 2009. A little dribble from one of the roof seals but ok now after using a spray polish to clean it. Otherwise no problems at all after 47000 miles. I wish I could buy another new one alas no longer made. Bye bye Ford after 40 continuous years of Ford ownership. I’m trying to find out why this car is not in the US market anyone has info on why ??? Hi Jonathan, The Focus CC was developed under european regulations and it seems the work to adapt it to meet US safety legislation would have been too costly for the number of cars that would have sold. I bought my CC3 2ltr diesel (60k miles)in Nov last year. It’s fun to drive, very economical (minimum 42mpg & I’ve been able to get it up to around 58mpg without trying too hard). It’s also quite quick but the main thing is that roof. Mine doesn’t leak & is such a pleasure to have down – the heater (& heated seats) are so good that even on bright but chilly days having the roof down is enjoyable. 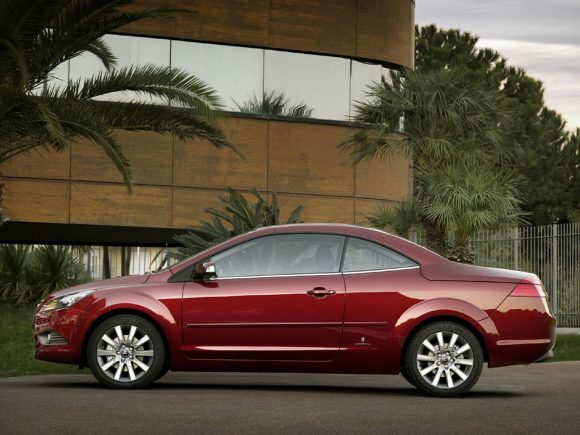 Is the issue of roof leakage in most or all of the cars of year 2008? I plan to buy one soon. Can anyone suggest how do I check for roof leaks? Simple. Look at the sills. If they’ve ever been welded then the roof leaks.